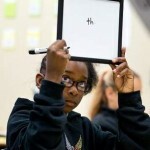 Phoenix Academy Makes the Front Page of the World Herald! KETV News Story about Our New Location. KETV did a news story about Phoenix Academy’s new Location. 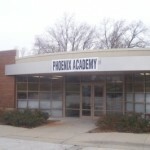 Phoenix Academy purchased and moved into the old Omaha Hearing School. The purchase was made possible by a generous donation from the Lozier Foundation.